Last spring I was the keynote speaker for a "Wellness Day" event at a local college. The goal that day was to have a few students from the audience come up on stage and prepare some healthy recipes. While scanning the audience for volunteers a guy from the front row, who was full of confidence, announced to everyone in the room that he could make any of the recipes because he was Chef Boyardee. I figured the chance to cook with Chef Boyardee doesn’t come along everyday so I invited him on stage. He hesitated at first but eventually joined me up front to try his hand at making a Beef and Vegetable Chili. We started by chopping the vegetables and it quickly became apparent this self-proclaimed chef had zero knife skills. He was all thumbs when it came to handling the knife and I noticed that his confidence began to deflate quicker than air from a popped balloon. Sadly, cooking can do that to you. What can a new cook do to avoid losing all confidence in his or her abilities? Start by learning a few knife skills. 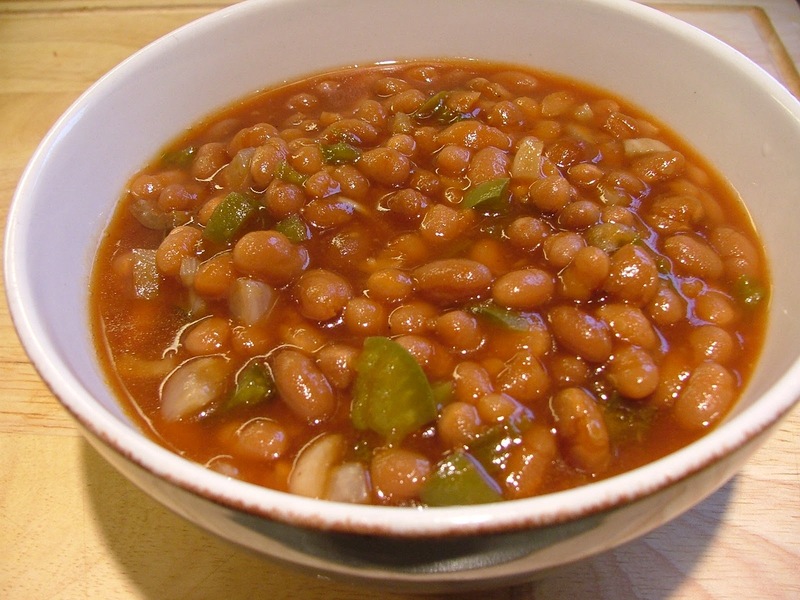 This Slow Cooker Baked Beans recipe is fairly easy to prepare but could prove to be a challenge if you don’t know how to dice a green bell pepper or an onion. Once you have a few knife skills under your belt, find a recipe such as this one that’s hard to mess up. The goal is to build cooking confidence. It's not to be Chef Boyardee the first time you step into the kitchen. Once you’re feeling more confident begin to experiment with ingredients. That's basically what I did with the beans and other ingredients in this recipe. It’s when you add your own spin to a recipe that you’ll find your cooking confidence will begin to soar. The more confidence you have the less likely you are to feel deflated when things don’t go as planned. How did "Chef Boyardee" fare at preparing the chili? He ended up doing a great job. He used the knife skills I taught him to chop the vegetables and as we moved through the recipe he began to feel more in tune with what he was doing. He was pumped after he was done and extremely proud of his chili creation. My bet is that feeling stuck with him the rest of the day. When was the last time your cooking confidence soared? 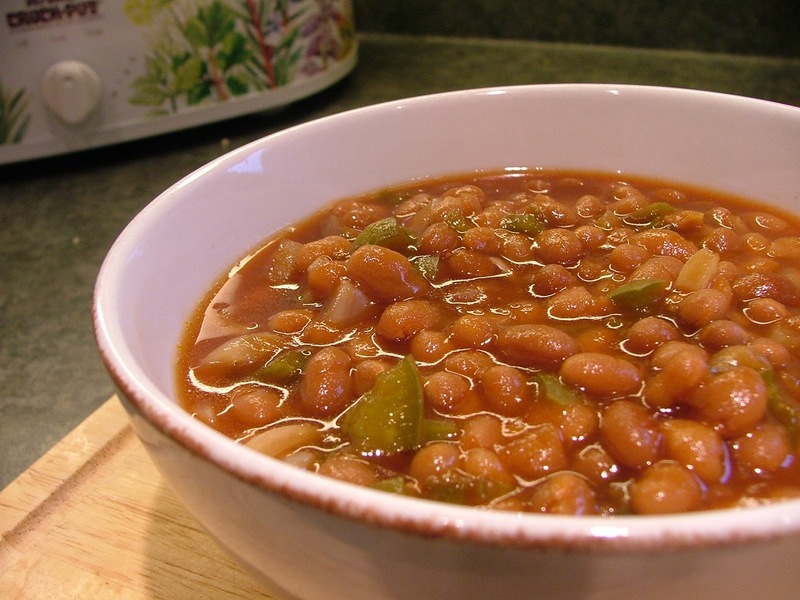 In a slow cooker, stir together bell pepper, onions, beans, brown sugar and barbecue sauce. In a small bowl, mix together water and coffee powder until coffee crystals are dissolved. Add to slow cooker and stir. Turn the slow cooker on low, cover with lid, and let cook for 3 to 4 hours or until bell peppers and onions are tender. Eat them straight up or pile them on top of toasted bread! College boys are something else! Haha "Chef Boyardee"
Thanks Meg for your comment and checking out my blog. Very much appreciated!